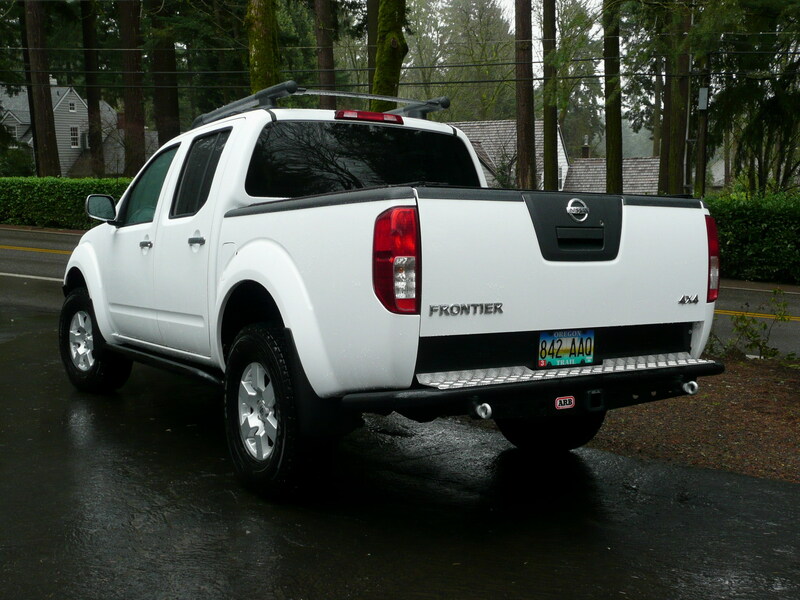 Nissan Frontier Forum > Nissan Frontier Forums > General Discussion > Bed rock sliders? Now that I have the white knuckles installed, I noticed the ZR2 Bision and new Gladiator have rock sliders for the back bed, does anyone make anything for the Frontier? 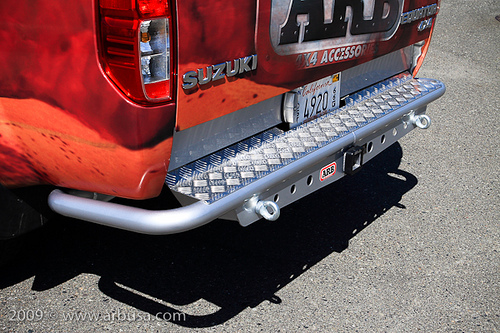 ARB makes a bumper with bed protection. It requires a fill panel that installs below the tailgate. The only problem with this design is that it does not increase your departure angle over the stock bumper and hitch setup. The vertical plate that hangs down will just dig into the ground as well. If you look at JeniorNVs build thread you will see her modified Calmini rear bumper that she had bed protection added to. Calmini really should make them that way. 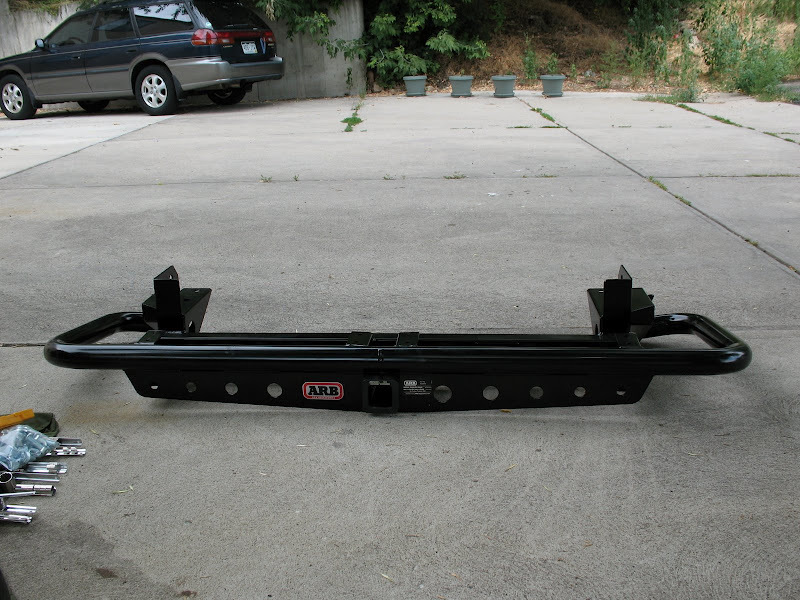 Armor: Shrockworks front bumper. 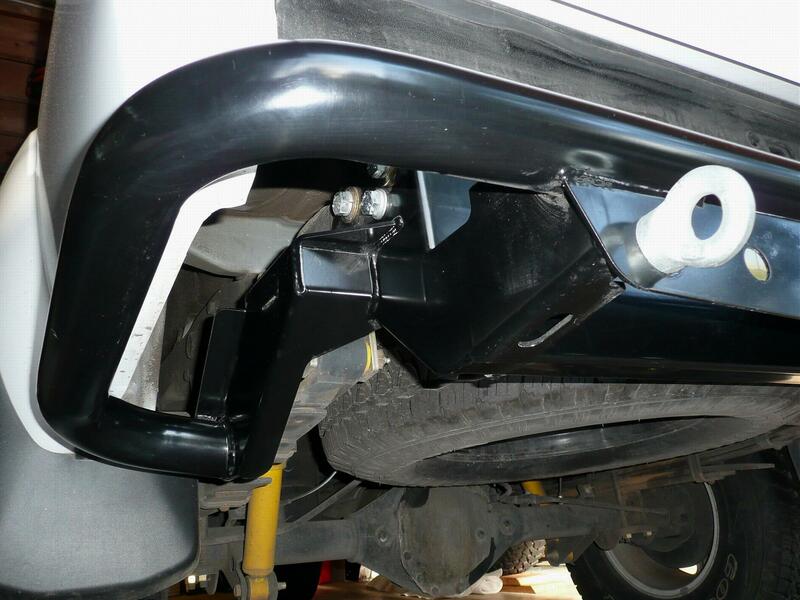 MaxGear rear bumper. Hefty skids. White Knuckle sliders. ARB diff cover. NissTec rear shock mount skids. Suspension: Front: Radflo 2.5" C/O's w/650 lb springs & PRG UCA's. Rear: Radflo Emulsion shocks w/OME Dakar MD springs & PRG shackles. Wheels & Tires: Stock PRO4X alloys with LT285/75R16 Goodyear DuraTrac's on 1" spacers. Radio: Uniden Pro 520XL. 5' Firestick antenna. Got Questions? Help Us, Help You! *WARNING* Clean your battery terminals! I've never seen a bolt on rear slider. 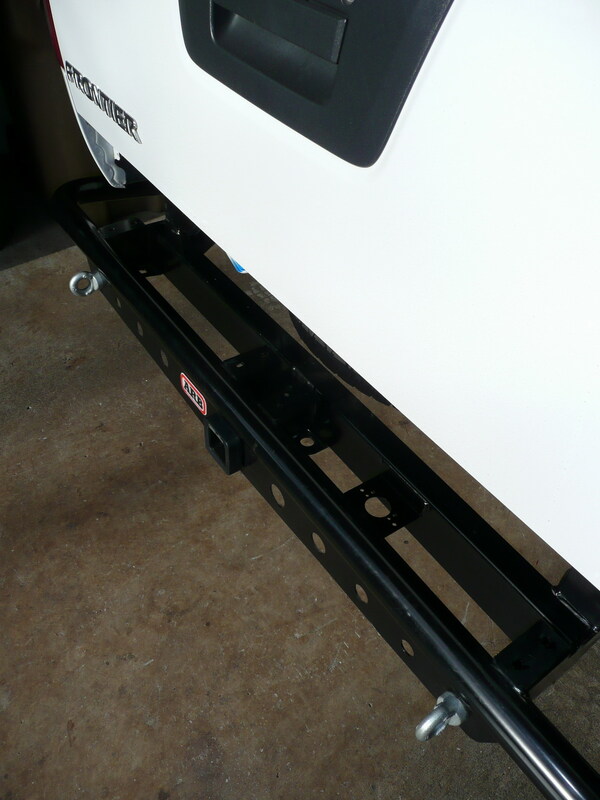 There are a few people that have cut the bed to include a rear slider as part of the bumper though. As far as I know that's all custom work. Something liek this would be pretty slick. 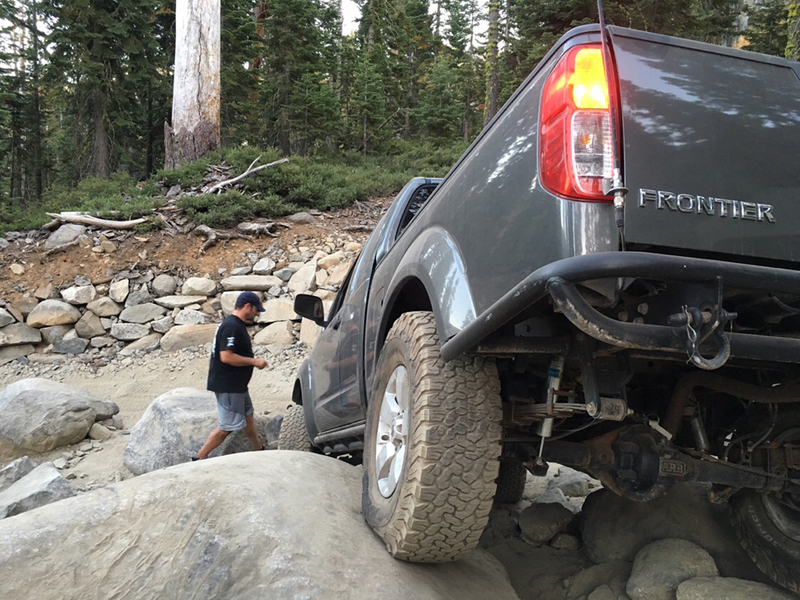 2014 Frontier CC SV Long Box, OME HD, PRG Deaver AAL, ARB Bullbar, M8000 Winch, 20" Rigid Industries E-series light bar, 50" Curved LED roof Light bar, Vision-X Light Canons, 285/75R16 Nitto Trail Grapplers, bed rack with Yakima Load warrior basket, Northwest Com. seat covers, Kurgo pet barrier, P3 brake controller, Weather tech floor mats, Trailer brake wiring relocation, Rear axle vent relocated, Blue sea fuse blocks. I took the truck and the Calmini bumper to a fabrication shop and gave them full permission to go nuts. They removed quite a bit of sheet metal, but it turned out well and has proven to protect the bed on technical trails.